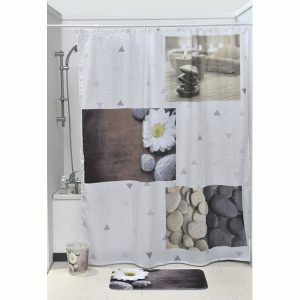 Complete your decoration with other products of the same collection Zen and Co, like bath mat, tumbler, soap dispenser, toilet seat or trash can to name a few. 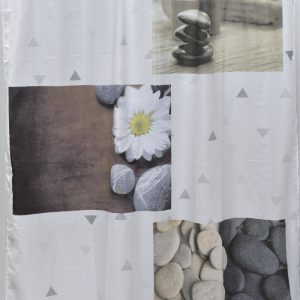 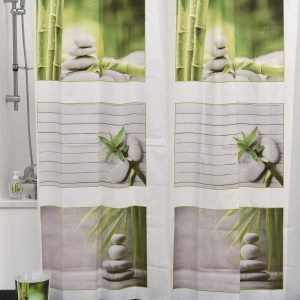 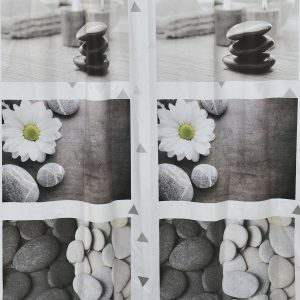 Enjoy a haven of peace with this lovely shower curtain ZEN GARDEN, featuring a patchwork of a daisy, pebbles and candles on soothing tones background. 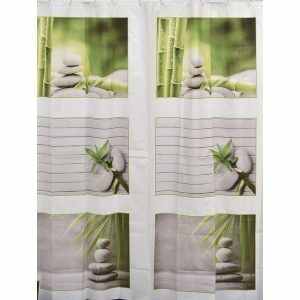 Complete your ZEN GARDEN decoration with other products of the same collection, like bath mat, trash can or toilet seat to name a few. 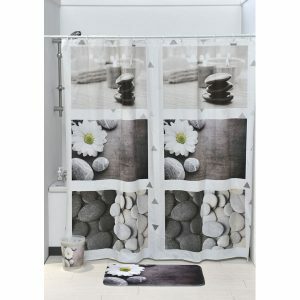 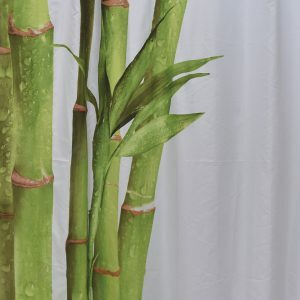 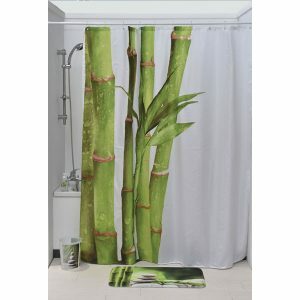 Complete your decoration with other products of the same collection ZEN GARDEN like bath mat, soap dispenser, toilet brush, trash can or toilet seat, to name a few. 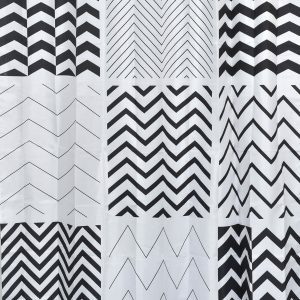 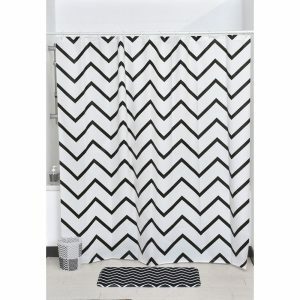 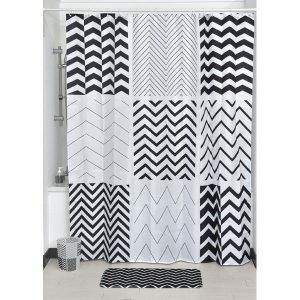 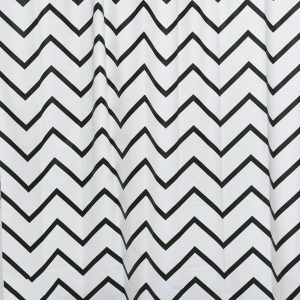 MATCHING collection: Complete your decoration with other products of the same Zigzag collection, like bath mat, tumbler, soap dispenser, toilet seat or trash can to name a few.